Warumpi Band sing in Luritja and English. The band was active from 1980 to 2000. The name comes from the honey-ant dreaming site located near the Aboriginal settlement of Papunya (240 kilometres west of Alice Springs). 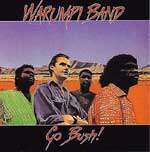 The Warumpi Band wrote, recorded and released this as the first rock song in an Aboriginal language (Luritja). 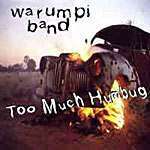 This is Warumpi Band's debut (long play) album. The Stompem Ground Festival 2000 in Broome (October) was their last gig. After it Neil Murray retired. Neil Murray also wrote two books, 'Sing For Me Countryman' and 'One Man Tribe'. 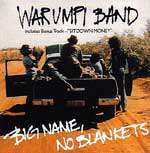 Warumpi Band 4 Ever sees the band's three albums – 'Big Name, No Blanket,' 'Go Bush!' (CD 1) and 'Too Much Humbug' - remastered for the very first time, and supplemented by some non-lp material (CD 2), including that original recording of "Jailanguru Pakarnu (Out From Jail)," a live recording from one of the band's last gigs of a never-before released song, and a handful of rocking covers that reveal their early energy. The track "My Island Home" was covered by Christine Anu in 1995 and also recorded by Tiddas for the soundtrack to the feature film Radiance. 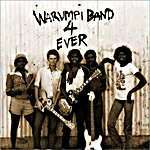 From mid 1987-1992 the Warumpi Band took a break while the band's Aboriginal members honored family and tribal commitments.